Start-ups can expect by mid-year an even faster business registration process as the Trade department is slated to launch an online version of the automated system now operating in select government agencies. The news came as the Trade department and Securities and Exchange Commission (SEC) unveiled yesterday the first one-stop terminal at the latter’s headquarters in Mandaluyong City. The Philippine Business Registry (PBR) kiosk at the SEC is designed to unify the procurement of various identification numbers from the Bureau of International Revenue, Social Security System (SSS), Philippine Health Insurance Corp. (PhilHealth), and Home Development Mutual Fund (Pag-IBIG) for newly applied corporations and partnerships. 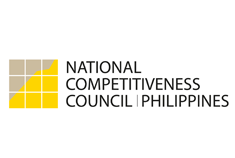 This comes on top of an earlier launched system that allowed sole proprietors to do the same by visiting computer terminals operated by the Trade department. The very first PBR terminal was launched in January at the Trade department’s Metro Manila regional office. Gradually, the kiosks were rolled out in other trade offices across the country as well as a few partner local government units such as the Quezon City Hall. “Back then, if you were going to start a business, you had to visit each agency to get your other requirements, but with the Philippine Business Registry, that can be done in a single day,” Trade Secretary Gregory L. Domingo told reporters at the terminal’s debut. SEC offices were next in line for the one-stop shop implementation, since business registration for corporations and partnerships are the one evaluated by the WB report, Mr. Domingo explained. “We expect this to boost our competitiveness ranking in World Bank’s (WB) Doing Business Survey. The evaluation for the next set of rankings is starting around May, so it’s important that we launch it ahead of time to test run it first and iron out the kinks in the system,” he added. Last year, the Philippines saw its Doing Business ranking drop two places to 136th out of 183 economies. Within the year, however, the Trade department is also setting its sights on doing away with visiting a government agency just to gain access to the PBR system by having the system accessible online. “The government already has an e-payment system, but we are waiting for them to make it available to the Philippine Business Registry,” the cabinet official said. “We are hoping to get that done... maybe around the middle of this year,” he said.